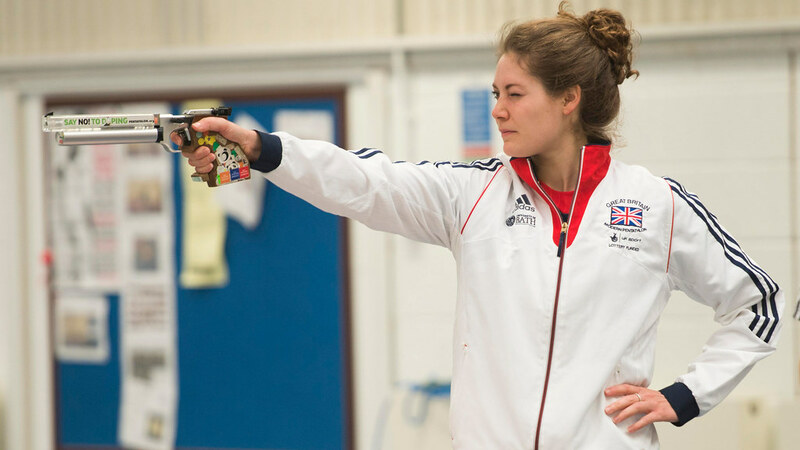 Kate French has been selected to represent Great Britain in the Modern Pentathlon. We asked her how the Sports Performance degree has helped her athletic life. Kate French will compete in the Modern Pentathlon at Rio 2016 Olympic Games this summer. What are you expecting from Rio 2016? ‘Leading up to the Rio 2016 Olympic Games there is going to be a lot of hard work going in to make sure I am in the best physical and psychological shape I can be. ‘I love putting on the kit and representing my country; I take great pride from competing for Great Britain. There is real history in modern pentathlon and British women have won medals at every Olympic Games since 2000. ‘Pentathlon is a great challenge, a real test for the all-round athlete. To get everything right on the same day is so hard and it’s such a good feeling when you do. That’s always what you are aiming for. There is such a massive variety in the disciplines but that makes the day more exciting, moving from one completely different event to another. Why did you originally choose to study at the University of Bath? ‘The main reason for coming to the University of Bath was to pursue my sporting career in Pentathlon, as the National Training Centre is based here. ‘The support from coaches and lectures was fantastic! I just had to let them know when I was away training or competing and they were very understanding. I found they would offer extra support if needed. How have your studies been of benefit to you? ‘My time in Bath has benefited me massively. I have been able to enjoy the student life in my first year living on campus. How has the content of the course related to your training and sports performance? How has studying this course enabled you to compete internationally? ‘The course has allowed me to come away with a degree as well as achieve my sporting dream of competing at the Olympic Games. What have you most enjoyed about student life on campus and in the city of Bath? To someone considering the Sports Performance course, what would you say? ‘Go for it! It’s a great course and you’re able to maintain a decent training volume at the same time as developing a greater understanding of your own performance. It can lead to further professional athletic roles.